Lovers of horseflesh, glue and tanning rejoice! G1 Jockey is back and for those of us with a liking for a punt can sit back and breath a sigh of relief. In this latest instalment of the popular racing series, there have been quite a number of improvements made that make this the best one so far. G1 Jockey is the all in one solution for those who wish to micromanage every aspect of racing and being a jockey. Tons of care has been taken to make sure that every wish (almost) has been catered for. 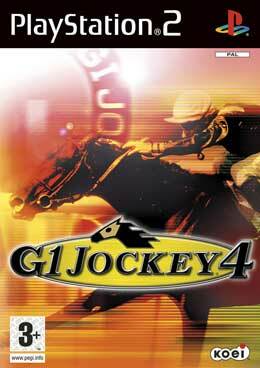 Part simulator, part racer of sorts, G1 4 takes you behind the scenes and into the world of manager, trainer and finally jockey with the ability to buy, train, race and fully manage your stable in order to make it in the horse racing game. The sheer amount of detail given to the title is testament to the other games in the series. With the ranking system in the game you can build up your jockey’s abilities and that will inevitably lead you to getting better horses as owners realise what you can do to win them races. 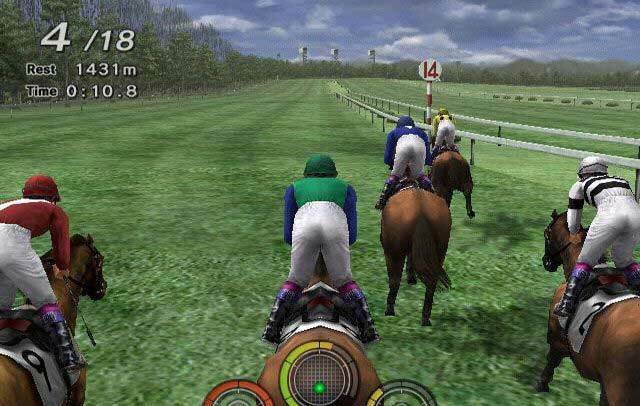 Making sure that you always have the horse in check will allow you to win most races so be sure not to drive the nag too hard from the beginning. Monitoring the horse does take some getting used to and you will see the difference from the AI riders that you compete against; the way that they handle the rides is quite different from how you will initially as the temptation is to just go as hard as you can. 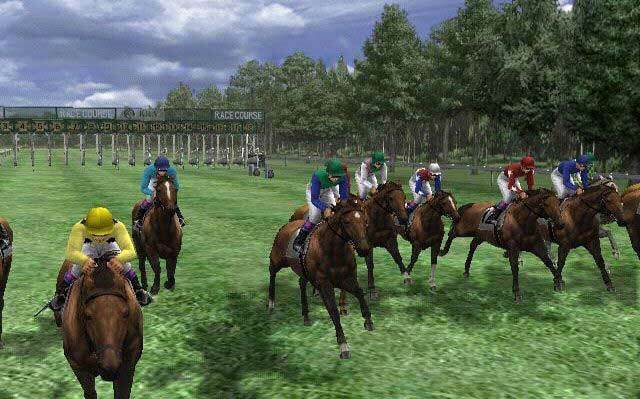 One of the improvements in this game is greater control over the horse with the analogue sticks on your PS2 controller. This takes the role of handling the reins of your steed and you can apply the crop or take in the reins during the race to great effect. I thought this was a worthy addition as in previous versions there was something I had felt lacking but not noticing exactly what until it was really shown to me. Graphically it’s still a good looking game, however I did notice a bit of pixelation during races as the pace picked up. The framerate looked solid enough though to ensure no major aggravations whilst riding. Attention to detail is obvious with some very good looking thoroughbreds showing up on the field. All things said and done if you are into horseracing then this is a must have title for you budding jockeys out there. With the whole new breeding and training aspects of the game thrown in, there is a chance to immerse yourself even deeper into the life of the horse you want to be your champion without all the early mornings that your real life counterparts have to deal with!